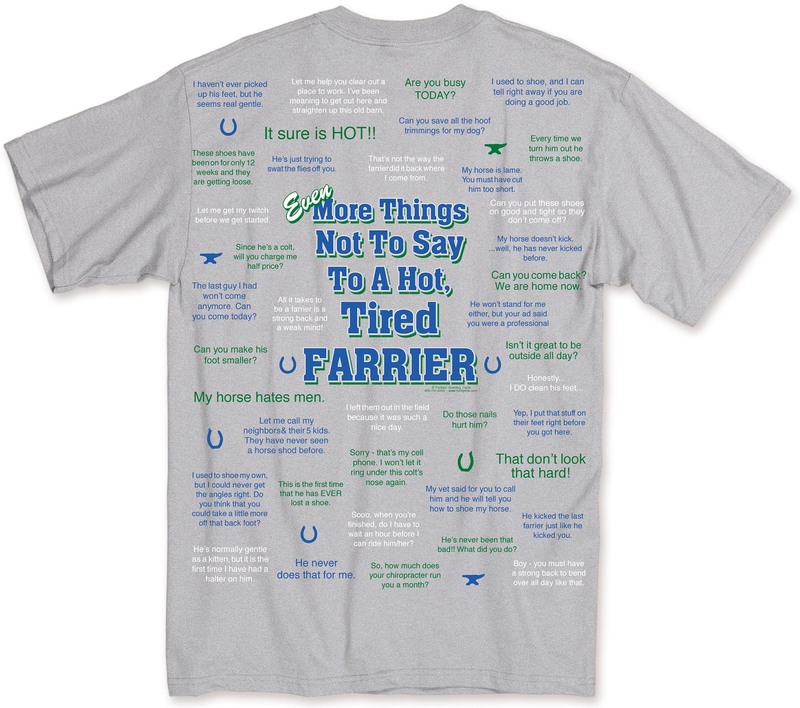 EVEN More Things Not to Say to A Farrier T-shirt $5.00 OFF! These high quality t-shirts are made of heavy, preshrunk cotton. They stay true to size and won't twist out of shape with repeated washing. Neck and shoulder seams are taped for comfort and reinforcement - the collar won't sag or stretch out of shape. Why spend time telling owners about the various things they do that get on your nerves, or reminding them about your policies regarding horse behavior? Get these Things Not To Say To A Hot Tired Farrier shirts and let your apparel do the talking while you work! STILL More Things Not to Say to a Farrier T-shirt $5.00 OFF!